Fans Toys must know its spring because they have been preparing to release tons of spring-fresh new characters out into the wild. 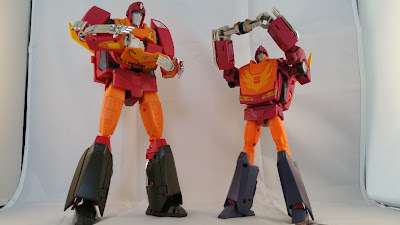 With their FT-07 Stomp (aka MP Sludge) on the cusp of release, and these two ready for prime time not too far after, the 3rd party MP ranks on our shelves are going to be getting a bit more crowded. 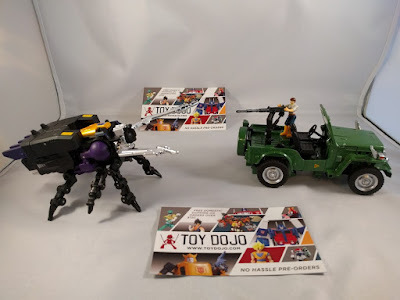 Here at Toy Dojo we were privileged to get an early look at two of their more anticipated pending releases, the decidedly evil looking FT-14 Forager (their take on a certain kicking insectoid robot) and FT-15 Willis (their take the hologram slinging, robot cat wrangling, and human character befriending military robot). 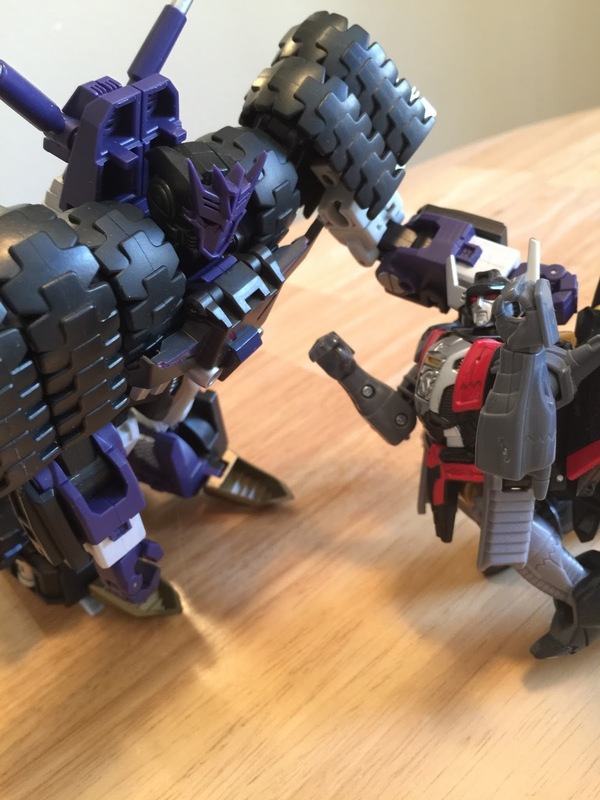 We’re going to change things up a bit in this article and focus a bit more on interesting factoids and tips for the figures since this is really more of a preview. First up, let’s talk Forager. He gets the benefit of being the last in a trio of insects so in theory he should be the best of the bunch right? Mostly yes, some no. He definitely feels more refined in his silhouette than say Grenadier and Mercenary. 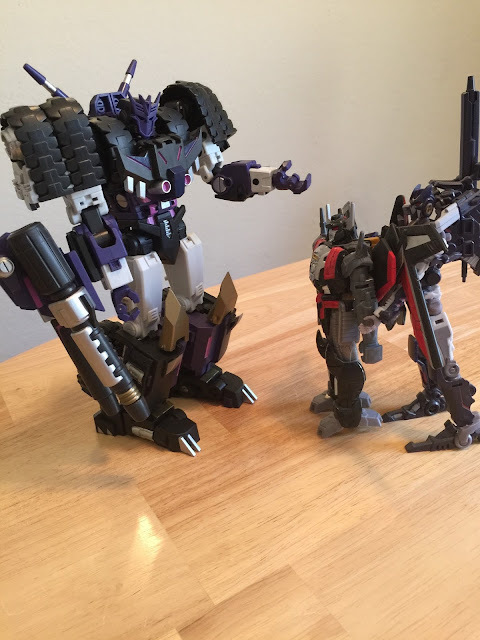 There is no denying the lineage or the fact that they go together, but Forager definitely looks the best out of the three as far as robot mode goes in my opinion. His articulation is on par with the other 2 insect figures and he definitely has it where it counts in the weight department, managing to feel actually the heaviest of the three thanks to well-placed die cast. His weapon integrates well into insect mode and he holds it perfectly even on the pre-production sample. 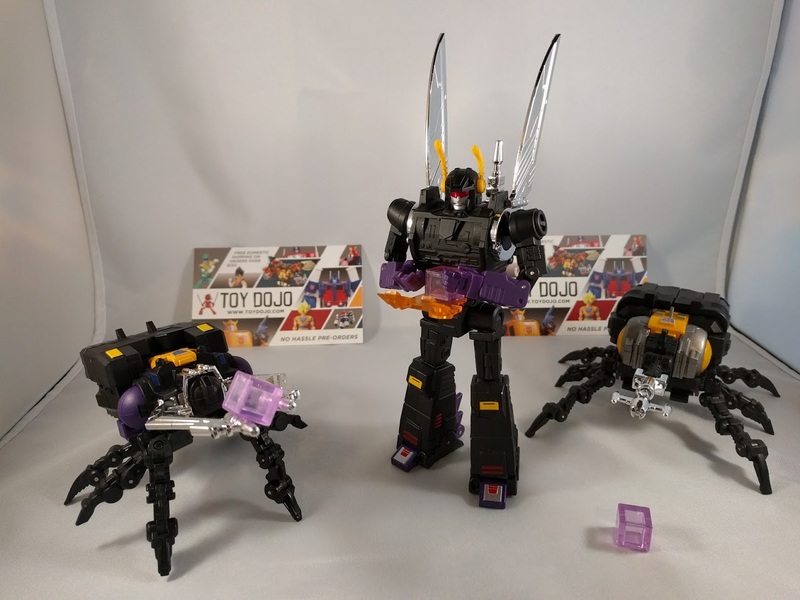 Including 3 small energon cubes continues as a trend with this release even though I find the shade of purple a little off (but this is nothing new as all the figures energon cubes have been this same shade). 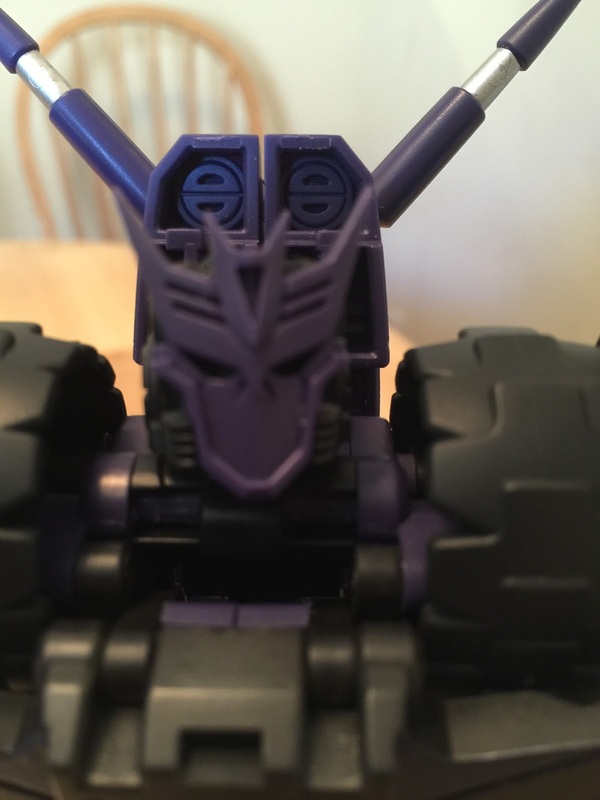 Also he includes a surprising but welcome additional accessory in a die case replacement head antenna for Grenadier. Though I never had an issue, the plastic nature of the piece was problematic for some people and caused breakage. With this replacement part, the danger of a snap is removed. It was a neat gesture and will no doubt be appreciated by anyone bothered by the issue. 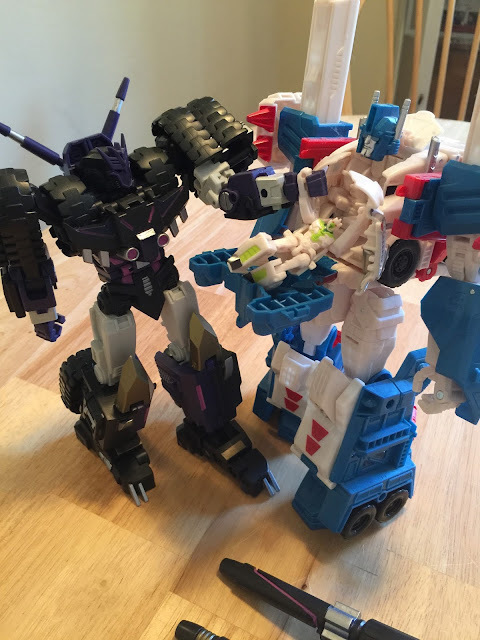 Where I think Forager falls down a bit is in the transformation department. 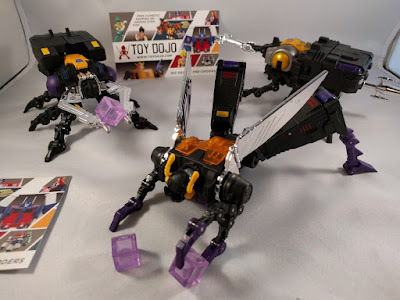 The legs are well thought out and the insect legs fold up much more compact than previous FT bugs. Where things get a bit buggy is in the way the robot arms and insect arms have to change place during the transformation. The design for the chrome wings includes an opening flap that is very frustrating to work around and does make me a bit nervous. 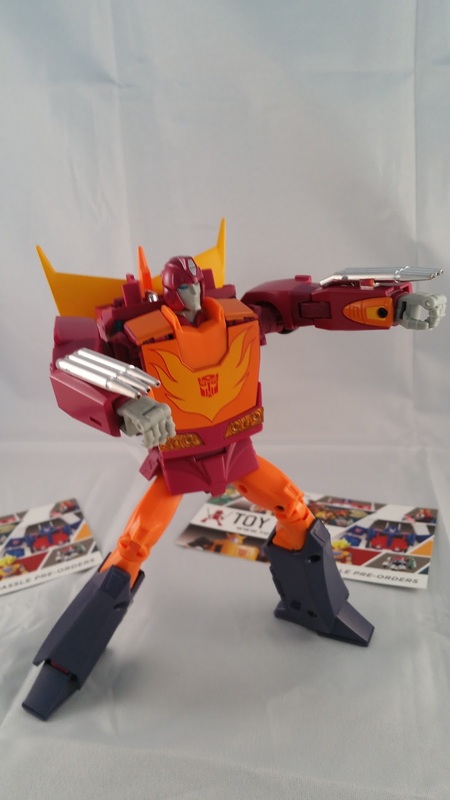 As this is a pre-production sample, its possible things will improve before release, but for now getting those arms switched out is definitely stressful and there isn’t really a great way I have figured out to make it easier. An important tip, although not immediately apparent the robot head actual clam shells in half to make getting the insect face cover MUCH easier to get out. If you don’t read instructions this is an easy step to miss! Overall I think the figure meets the standard of its pedigree and will be a welcome addition to your other 2 insectoid buddies. Finally let’s talk about Willis. “What you talkin bout Willis” you might say? No? Ok, bad joke averted. 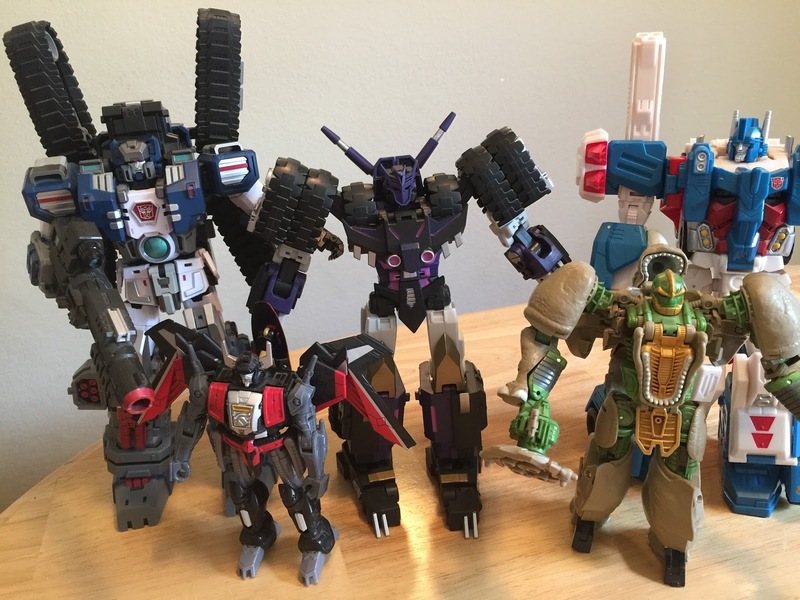 Unless you are new to the 3rd party scene, you are no stranger to multiple versions of a character being available from various designers. 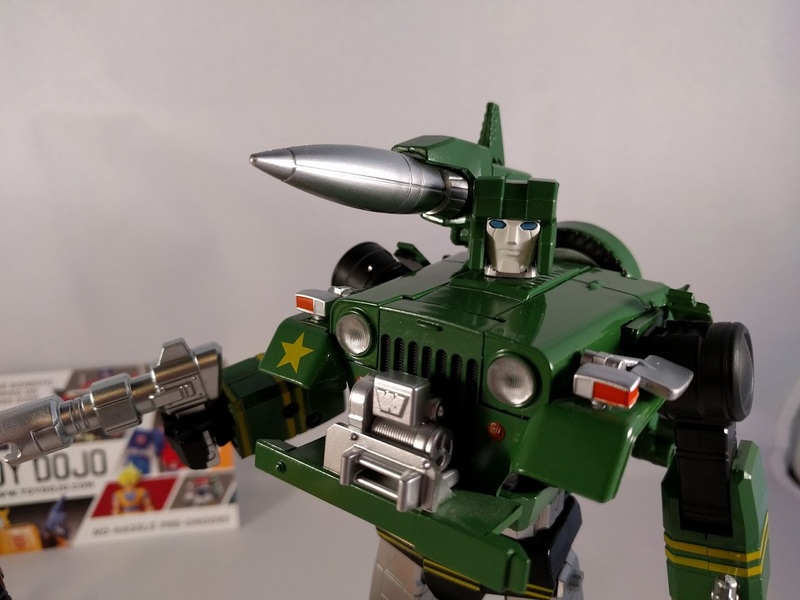 This isn’t the only 3rd party version of “Hound” available to you with the likes of TFC and Maketoys both having already taken a stab at the character – Gun Dog having been the stand out of the two. Personally speaking, though I love Gun Dog, you can’t argue he takes a lot more cues from the toy than the cartoon model of the character. Many people prefer that look, I just don’t happen to be one of them (though I can’t deny it’s charm and impressive engineering). Willis was always going to be my “Hound” unless something horrible swayed me away. Having previewed him in hand, I can tell you I am not swayed from my original opinion. If the cartoon is your shelf bible, this is the one for you! Willis NAILS the visual cue of the character in hand. 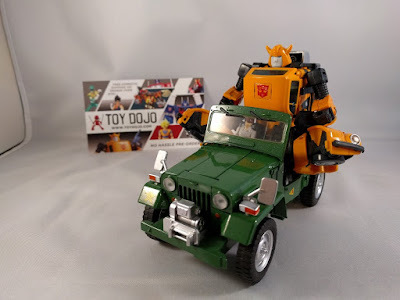 Both the Jeep-inspired alt mode and the robot mode manage to make you feel like the character jumped out of the screen. 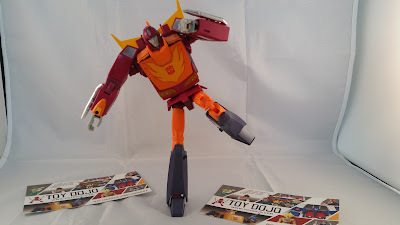 His articulation is not as robust as some of the other characters in the line which admittedly was a little disappointing but this also wasn’t the most acrobatic character in the series. A double jointed elbow would have added some additional character and the lack of a skirt cut makes forward movement a bit restricted in the legs. His coloring and face sculpt is great. We actually get a couple faces and (shades of color on said faces) to pick from which is welcome – and they are both good! Also, rubber tires are always a welcome addition. Accessories are well thought out and for the most part well implemented. 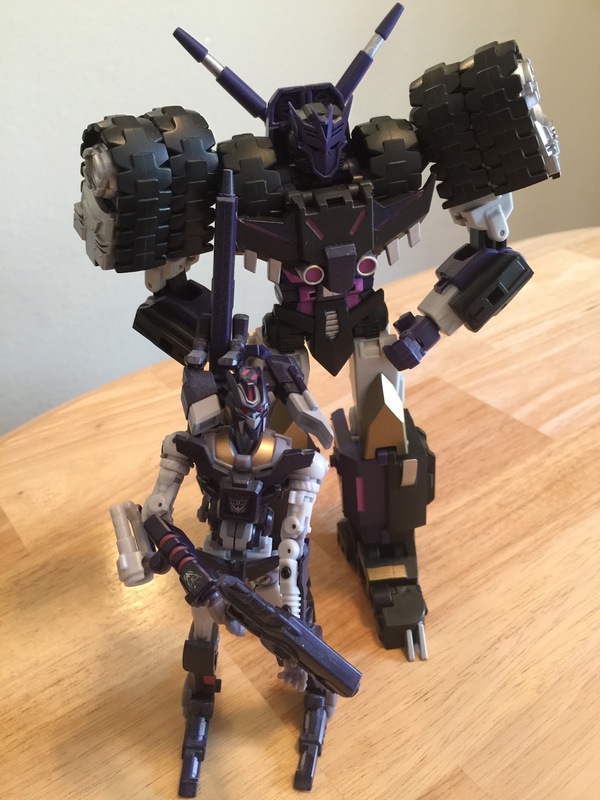 The spare tire cover and gas can are both present and removable but both can’t fit in robot mode without some creative placement. He includes no less than 3 guns which is AWESOME and retroactively a great nod to his Michael Bay iteration’s penchant for weaponry. 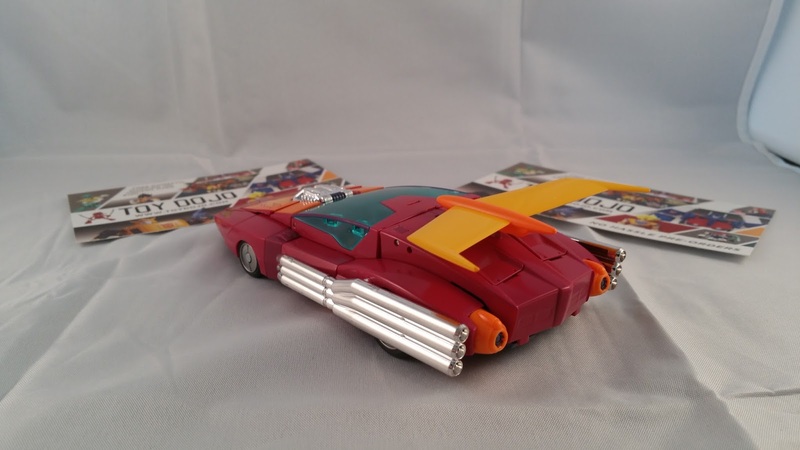 The machine gun placement which works only in his vehicle mode includes a great moving piston and is sized perfectly for human scale figures to use. 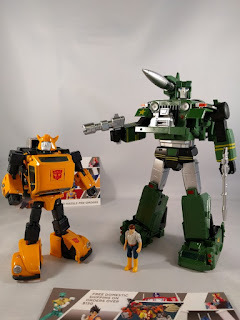 Both versions of his rifle are included (the shorter cartoon snub nose and the toy version) and the toy rifle even includes an adapter so it can be used in vehicle mode. Also included is a clear plastic scuba mask which is good but in practice doesn’t stay attached to the head very well (just friction). 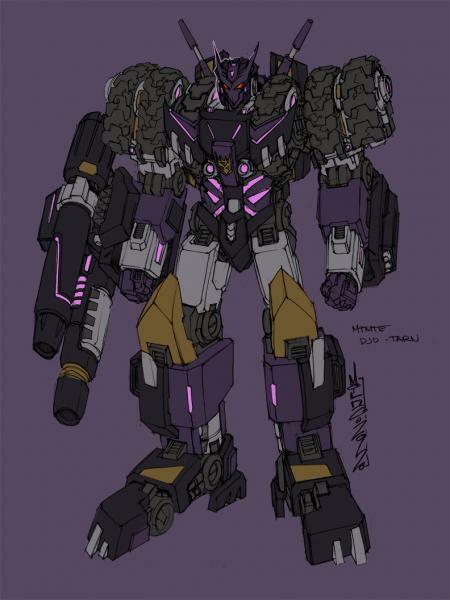 Willis is quite a bit more elaborate in the transformation department than his visuals would immediately imply. Everything is fairly intuitive and every bit has its place but that’s not to say it isn’t without challenges. The first couple of times you can’t get the arms and tires to fold in or unfold like they should because you don’t have the torso bar bent right you will think you are doing something wrong. Also for that step in general, the clearance is very tight and orientation is important. Watching a video review definitely helps visualize this if you don’t have instructions. Also getting the rear feet/legs folded without gaps can take some finesse. 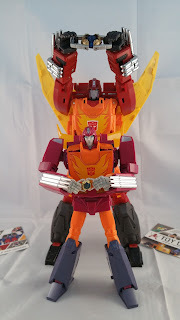 Overall these figures were fun with each having their own little quirks and intricacies that make them equal parts challenging and interesting. I look forward to seeing the final release versions and seeing how they stack up to the competition. 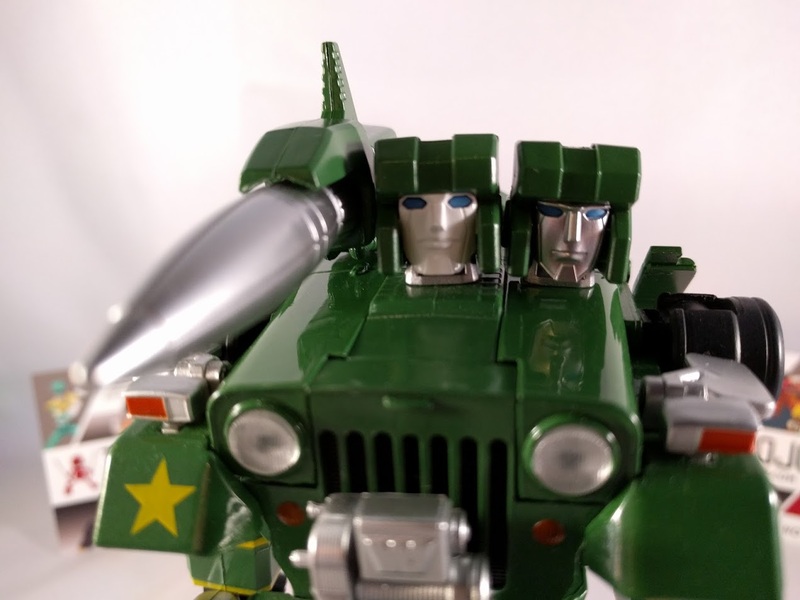 If you are on the hunt for your very own FT-14 Forager you can place a pre-order here while FT-15 Willis can be found here. As always thanks for checking out this article and always check for the latest news on our Facebook page and website. Until next time! Wait, didn’t we do this one already? Takara is back to take another masterpiece stab at the young matrix templar who famously couldn’t “get out of the way” during the epic final battle between Optimus Prime and Megatron. 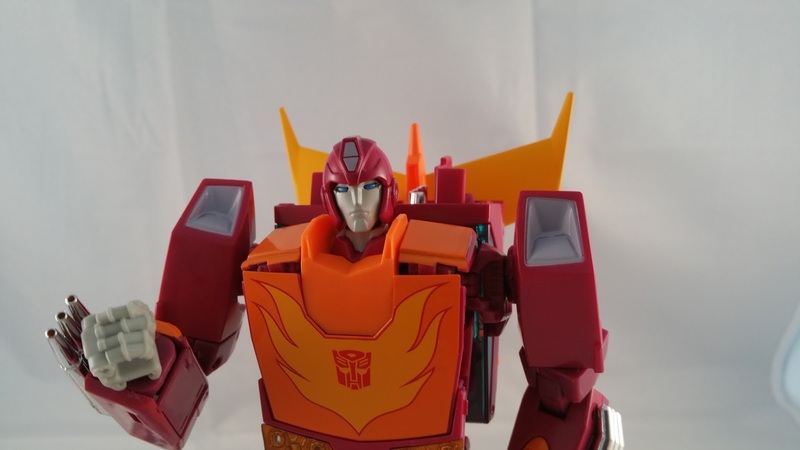 Hold on to your fishing poles and your twin photon rifles because this is a review and perspective article on Takara’s MP-28 Hot Rodimus. It’s hard to immediately start talking about MP-28 without at least mentioning the fact that this is technically the second figure this character has received in Takara’s masterpiece line. 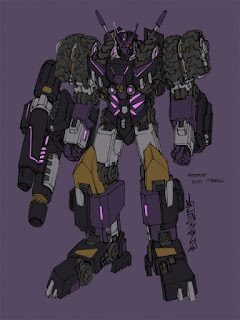 MP-09 released way back in 2011 was probably the most ambitious masterpiece ever released (and possibly since). With a design intended to capture both the pre-leader Hot Rod and the post-matrix gifted Rodimus Prime characters, it could be argued that Takara bit off more than they could chew. For Takara, the challenge of creating a toy that had 2 vehicle modes, 2 robot modes, and was based on a character design that frankly cheated right and left in the animation was daunting. 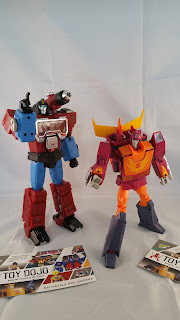 This was apparent in the MP-09 release where numerous compromises were made. 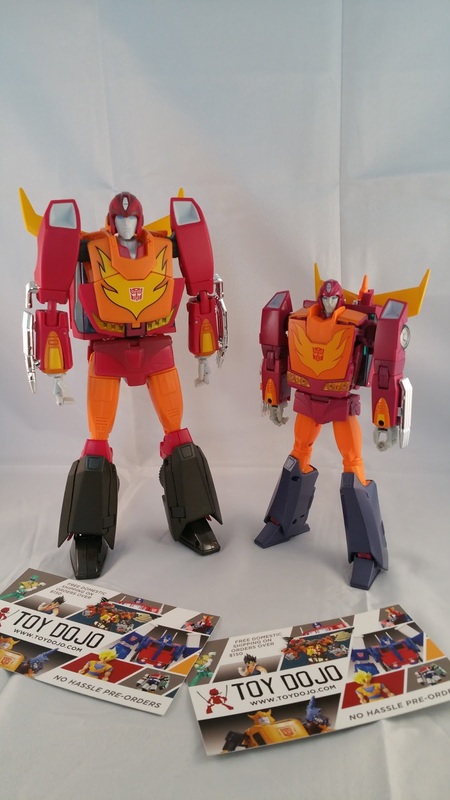 Scale was probably the largest issue as the vehicle mode and stature of the robot mode for Hot Rod in the animation were intended to be several factors smaller than Rodimus Primes. 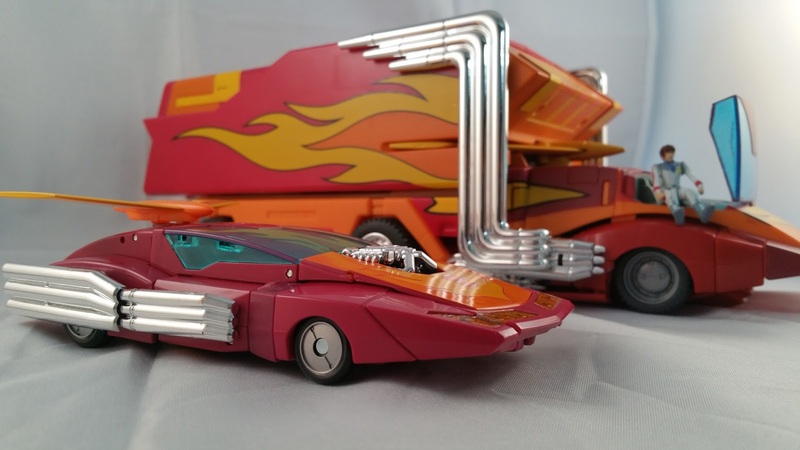 For MP-09, the result was a Hot Rod car that, while very accurate to the animation, was hilariously gigantic when put in scale with the later cars released in the line. MP-09’s Rodimus Prime “Space Winnebago” by comparison looks right at home next to MP-10. 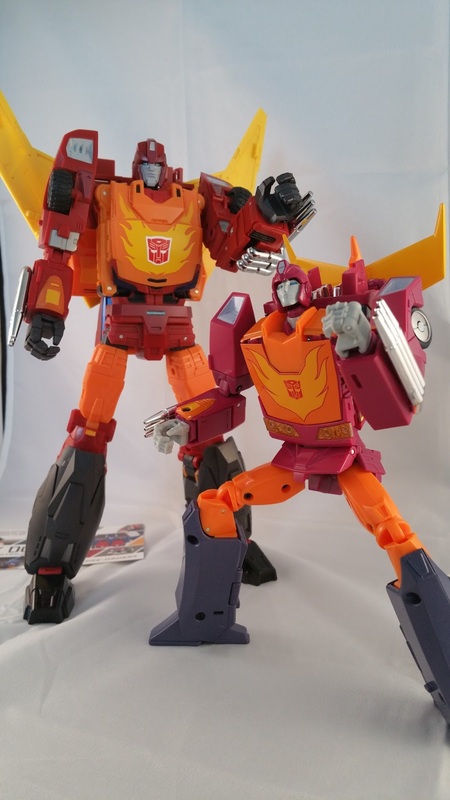 In MP-09’s robot mode there was little difference between Hot Rod and Rodimus Prime aside from a different face sculpt, slight variations in backpack wing height, and a minor increase in height created by modifying the alignment of the hips. All of this was famously marred by reports of severely thin connecting tabs, broken leg and elbows joints, scratched paint applications, and a transformation that was frustrating to say the least. A perfect figure it surely was not but, un-manipulated on a shelf, it was a beautiful piece in anyone’s collection. 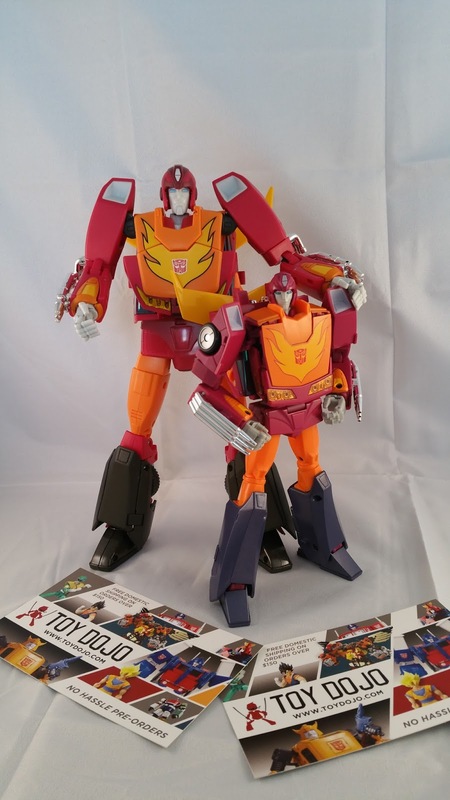 Now 5 years later can Takara write the wrongs of MP-09 and finally bring us a masterpiece Hot Rod that truly has the touch? Perhaps, with a few steps forward and in some cases a few tip toes back along the way. 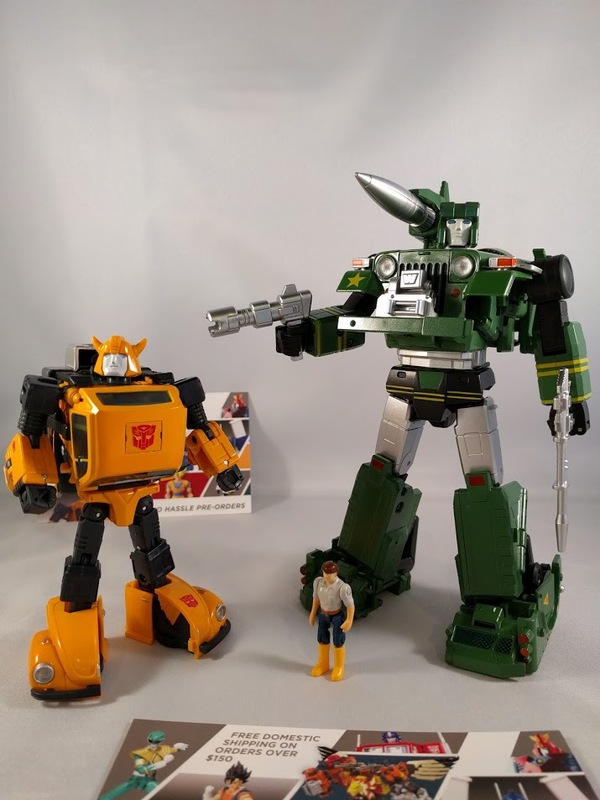 Starting in vehicle mode, it becomes apparent right away that MP-28 took a little more curve appeal from the original 1986 toy then from the animation model. Placed side by side it’s actually a little difficult to tell MP-28 apart from his older G1 figure. There weren’t jarring differences between the animation and the toy to begin with but the subtle curves from the hood along the door panels is definitely more squared off like the toys appearance. 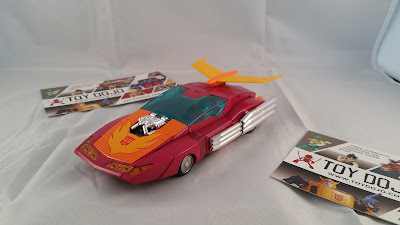 The excellent paint work and translucent plastic (the windshield and visor are indeed a proper deep blue and not “whitish clear” as some early samples were shown) work well together as do the artful flame design on the hood and the chrome accents along the engine block and exhaust pipes. Although not riding much higher off the ground then MP-09, this Hot Rod does not invoke the same burden to get everything aligned “just so” to allow the vehicle to roll on the ground as its predecessor did. Dedicated notches for the legs and collar keep the wheels well below the robot kibble. With a minor adjustment to the engine block, either of MP-28’s photon rifles can be hood-mounted just like the original toy. Additional dedicated ports on the roof can be used as an alternative storage spot. No storage is provided for the figures other accessories in this mode. 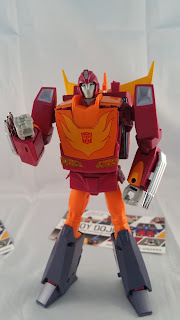 Transformation to robot mode is thankfully NOT the ordeal that MP-09 was, though there can be some steps missed going back to vehicle mode if you aren’t paying attention. 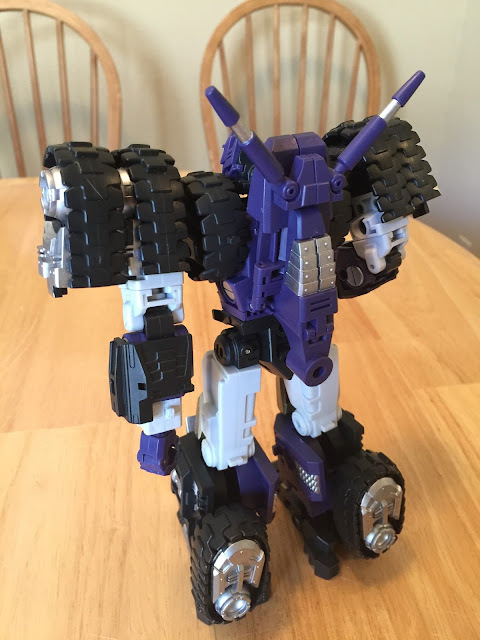 Some clever bits of engineering are present in the way the arms flip around to cover the wheels on the shoulders. Also of note is the surprisingly solid way the entire top of the vehicle mode compresses and locks into the backpack. 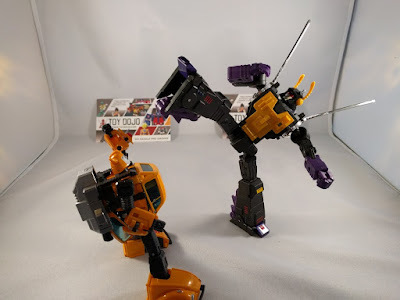 The legs borrow a bit of the “open leg panel and accordion out the legs” trick that most of the recent Combiner Wars figures have sported though it’s much more artfully managed here. The backpack on MP-09 was notorious for coming undone and fans will be glad to know it stays in place much more securely here. The transformation ultimately ends up being fun and intuitive enough that I had no issues performing it without instructions the first time while still providing a healthy level of difficulty. MP-28 is definitely a figure you will feel like transforming a few times if for no other reason than the sheer joy that it doesn’t take an hour to do like MP-09 did. AB CRUNCH! Almost 90-degrees of ab crunch that really adds a ton of character and posing possibilities to this figure! Although not quite animation accurate in how it opens, there is an opening panel in the chest that is dedicated to storing MP-10’s Matrix of Leadership (which sadly is not included). 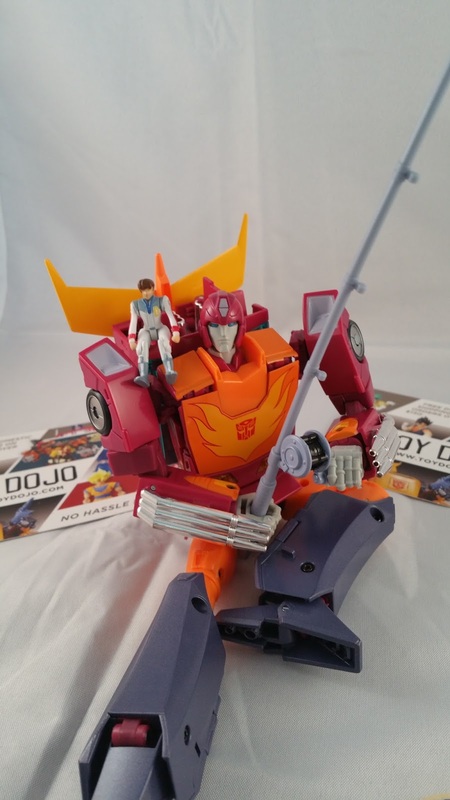 Other accessories include the famous fishing pole from his scene with Daniel in the beginning of the 1986 movie, the saw blade weapon he used to rescue Kup from the giant roboctipus in the same film, as well as both of his proton rifles. 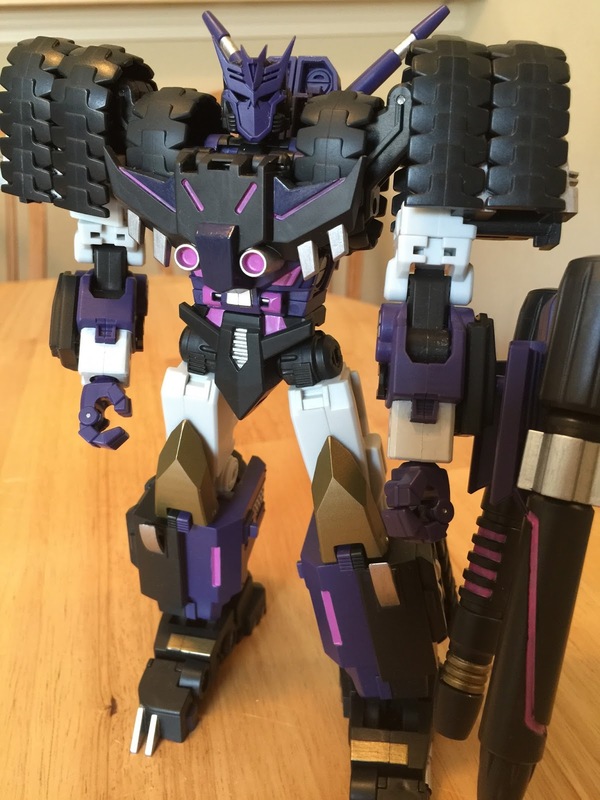 Personally I found the saw blade to be at least 30% too large for the figure but the other accessories are well thought out and help add value – ironic for a character who frankly almost never used any accessories in the animation. None of my figures joints felt loose and all accessories fit in their appropriate slots firmly. My gripes with the figure largely come down to things that I consider aesthetic and proportional nit-picks. 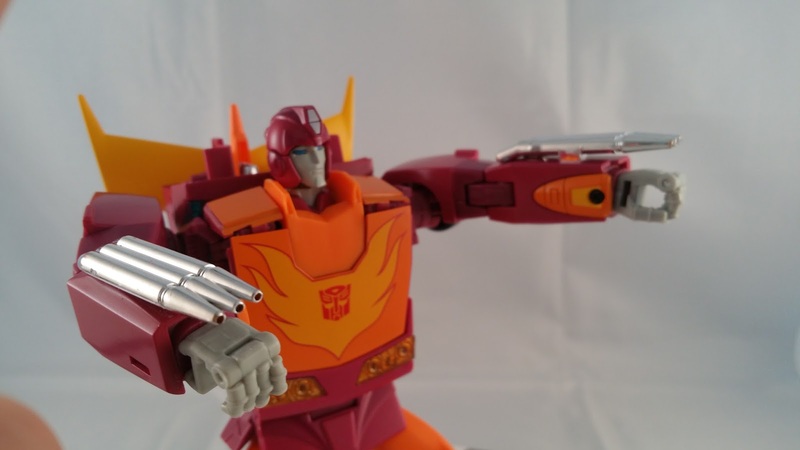 The screw holes that keep the forearms together are displayed front and center on the figures arms which I think was just poorly thought out. The figures shoulder width can sometimes appear to be a bit too wide in some angles but it was an infrequent concern. In images the flatness of the chest comes off looking a bit out of place as does the slightly less pronounced popped collar, but in hand these issues didn’t bother me much. I think for pure adherence to the animation model, MP-28 is great but won’t quite beat out MP-09 in this area. The curves of the chest and the popped collar are definitely more in line with the appearance of Hot Rod in MP-09 then they are in MP-28, but that’s not to say that MP-28 isn’t close enough. The only other concern worth mentioning is that due to the sometimes wide appearance of the shoulders, this can accentuate the relative lack of girth in the legs and make his overall lower body appear perhaps too thin. Perspective and personal aesthetics play a big part as to if this might bother you or not. Much like Ironhide before him, Hot Rod isn’t necessarily the most photogenic figure. How the figure looks and feels in hand is far superior to any images out there so don’t form an opinion on photography alone or you might be missing out on something you really might love in person. 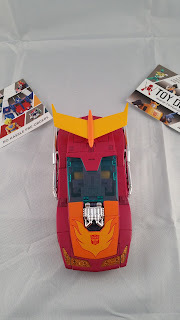 As a reminder to folks in the greater Austin Texas area, Toy Dojo now maintains a brick and mortar shop and you are certainly welcome to come down and check out Hot Rod in our display and see for yourself. 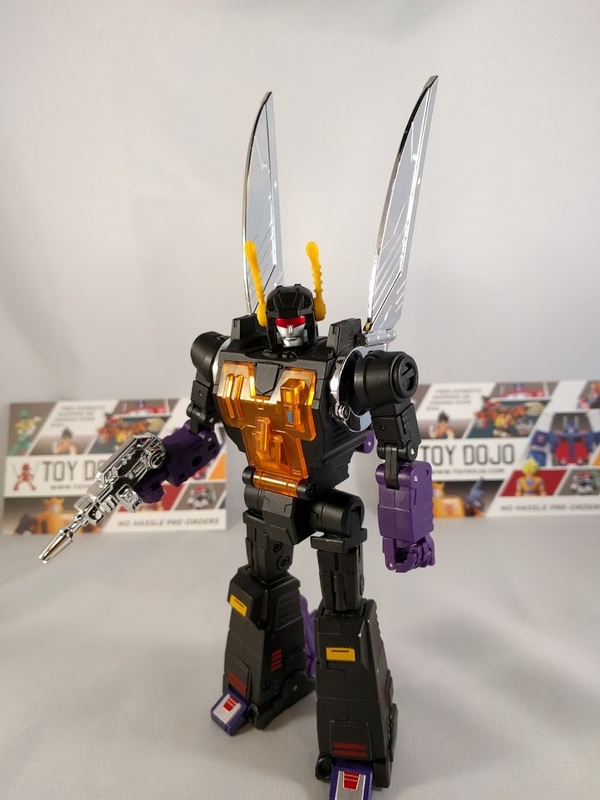 My final few thoughts on this figure are definitely overwhelmingly positive and a recommendation for purchase even if you already own MP-09. The playability, poseability, scale, and overall improvements in many areas makes this figure worth it to me. 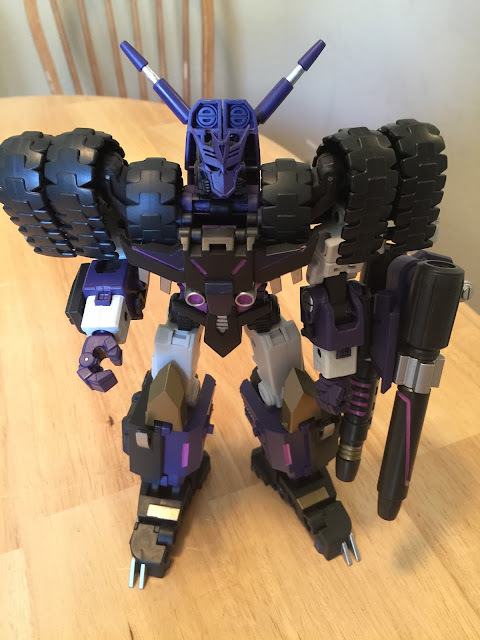 While not perfect, its improvements over MP-09 in the areas of fragility, transformation, and overall fun factor make this figure land near the top of my list for Takara’s recent efforts. While Ironhide still remains my favorite of the year so far, Hot Rod is certainly not far behind as my second. 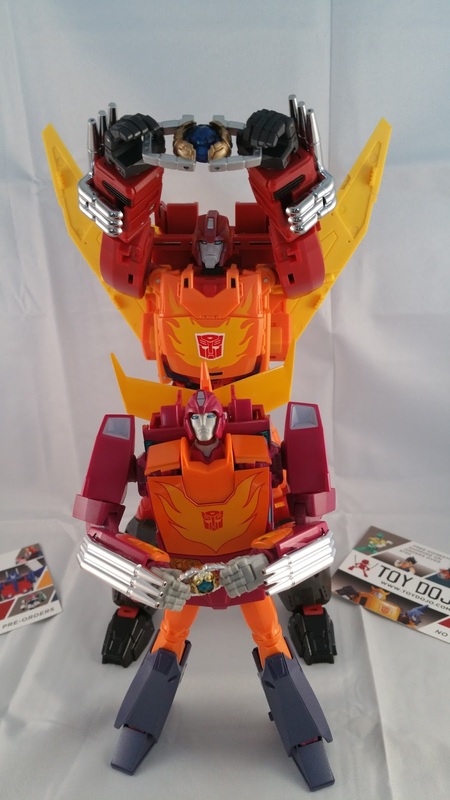 When it comes to this figure, experience truly is the benchmark of maturity and actions really do speak louder than words. 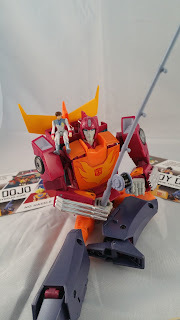 Make sure and pick up your MP-28 Hot Rodimus figure from the Dojo here.